Most nurses will readily admit that they didn’t choose nursing because of the astronomically high paychecks. 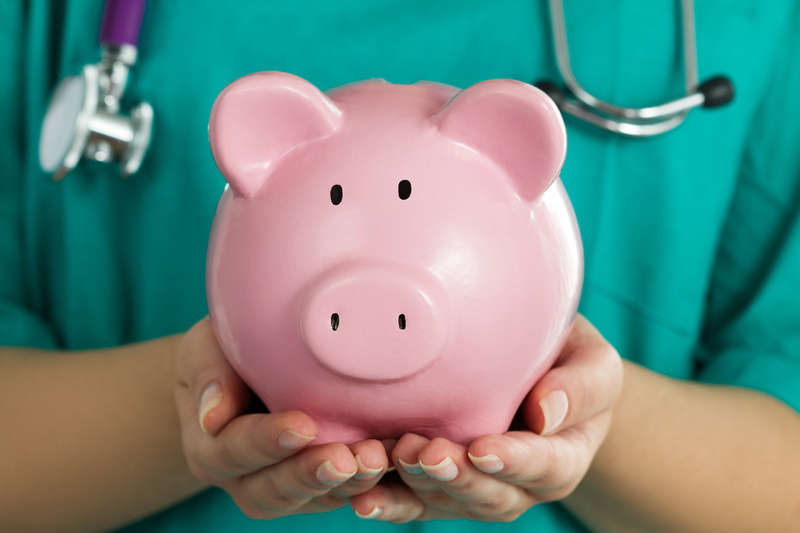 Sure, nursing can be a relatively remunerative career, but there are plenty of other professions that are significantly more financially rewarding (and free of some of the challenges that nurses face on a daily basis). So, what if nurses were paid a whole lot more in exchange for saving—and otherwise improving—the lives of a grateful public? We all know that entertainers and athletes make a lot of money, whether it’s deserved or not. NFL players sign multimillion dollar contracts in return for throwing and catching a ball (and, admittedly, running a lot), and singers and entertainers rake in millions in exchange for strumming their guitars, singing, dancing, and cavorting on stage and in music videos. Meanwhile, we all know that actors also make multimillions—and let’s not forget those lucrative product endorsements. Don’t get me wrong—sports and the arts contribute greatly to the fabric of societies the world over, and there are many individuals who could honestly say that a song or movie saved their life (whether literally or figuratively). While I’ve never followed sports, many fans would likely share that the joy of watching a very exciting game allows them to forget their troubles for a few hours, transporting them to a blissful realm of communal celebration. So, if those who entertain us and thrill us earn millions per year, why is it that those who are so-called “angels of mercy” or “lifesavers” frequently struggle to make ends meet, put food on the table, and repay their exorbitant student loans? Granted, we place a very high value on entertainment and sports, and I, like millions of others, flock to the movies, download music, and stream movies, and otherwise support the careers of artists, actors, musicians and others whom I admire. While I can’t say that David Byrne’s music has ever saved my life, his music is indeed a part of my personal soundtrack, and the value of that is difficult to measure. Do nurses deserve to earn more? Absolutely. Can our healthcare infrastructure afford to offer multimillion dollar contracts to every nurse? We’d all likely agree that that would cripple the system overnight. Still, do we value certain services and professions enough to make sure that they are compensated appropriately? Probably not. This modest blog post is not written in the spirit of having any answers to the largely rhetorical questions that it raises, but the questions are well worth considering. Of course, when millions of people buy the new Rolling Stones CD and pay several hundred dollars each to watch Mick Jagger strut his stuff live on stage in some massive arena, it follows that the Stones’ individual and collective wealth will be mushrooming as the fans scream for more. I don’t begrudge Mick or his fellow bandmates their wealth, but I also wonder why an ER nurse who plunges her gloved hand into the gaping wound of a patient to stop a life-threatening hemorrhage and save a life doesn’t earn more than $40 per hour (and in some cases much less than that). And if that nurse was saving the life of said Mr. Jagger, for instance, does that make her actions more valuable than if she were holding the severed femoral artery of a carpenter, hairdresser, or homeless person? This is where I experience cognitive dissonance while still having no answer to the question of why that disparity of income truly exists—and what can be done about it, if anything. Truly, I have no answers, but I certainly have many questions. The communal experience of a Rolling Stones concert (which I’ve never had the pleasure to attend, mind you) could indeed give a concertgoer such transcendent pleasure that her emotional wounds of the day could very well be assuaged for a brief time as she falls under the Stones’ well-rehearsed magical spell. The reverberations of that experience could also positively impact her well-being for days or weeks to come. Can this playing field be leveled? I doubt it. Should it? Yes, indeed. But this is actually a societal issue in the largest sense of that notion, and the answers are obviously very elusive, at best. Sure, nurses will never earn as much as brain surgeons, and that’s okay since brain surgeons undergo a great deal more education and training while also carrying an astronomical liability for the work that they do. Nurses will also never earn as much as Mick Jagger, and they certainly won’t receive the adulation that good old Mick receives, even though they’ve held those severed arteries and saved lives galore. This question of relative value and income is one worth considering, and readers’ responses are welcome. Again, I have no answers&mash;only more questions—but conversations about such issues are a valuable exercise in measuring and assessing our individual and collective values. So, the next time a nurse saves your life or the life of a loved one, consider how much that means to you as compared to, say, watching Mike Jagger strut and crow like a rooster. A front row seat to see the Rolling Stones is exhilarating, but so is the sight of a nurse saving the life of the person you love the most. What is value? What is valuable? And how do we measure relative value of those who touch our lives in one way or another? The conundrum remains unanswered.